Achievement, Aspiration, Respect, Responsibility, Self-Belief and Happiness. 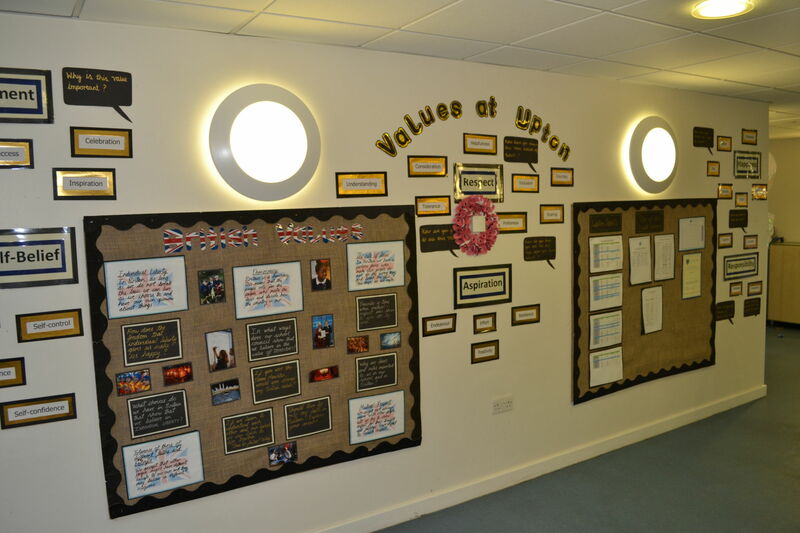 We always encourage the children to work hard, achieve their best, be kind and caring, respect themselves and others and look after everything in our school. They are responsible for recording their value points on the weekly class chart to see if they will they be the Star of the Week? Weekly points are collected by our year 6 prefects and the highest scoring children are awarded the Star of the Week certificate in our Monday celebration assembly. Each week all value points are also added to their Team points (Blue, Green, Red, Yellow, Purple) and the trophy for the winning team is awarded in our celebration assembly. The children have a target of reaching 50 achievement points. Achievement points are awarded by adults for achievement in their learning and the progress that they make. A lot of this will be seen in their books, daily work and homework. Every time a child achieves 10 points they can go to see their phase leader for recognition and reward . When they reach their goal of 50 points we will award them an Achievement Award certificate in our assembly. Once they have reached the 50 point goal, they then continue on to the 100 point award and so on.